The catch stitch can be used for tacking or hemming lined garments. It is a zig-zagged stitch that helps to prevent your fabric from fraying along the edges. 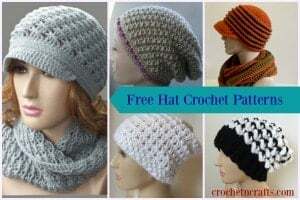 And because of the zig-zag, it allows for a lot of stretch along the seam, which makes it perfect for knit garments and anywhere else where you need a stretchy seam. Unlike other hand sewn stitches, the catch stitch is worked from left to right. To make the catch stitch simply make a small stitch in the hem edge making sure to insert the need from right to left. Then moving to the right about 1/4″-1/2″ make another stitch in the garment, again inserting the needle from the right to the left. Moving to the right again take another stitch in the hem edge inserting the needle from right to left. Continue this pattern as you go along from left to right until the seam is complete. 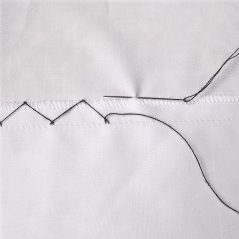 The blind catch stitch is worked in the same way, only with the hem edge folded back about 1/2″. The stitch catches the back side of the hem to the back side of the garment.